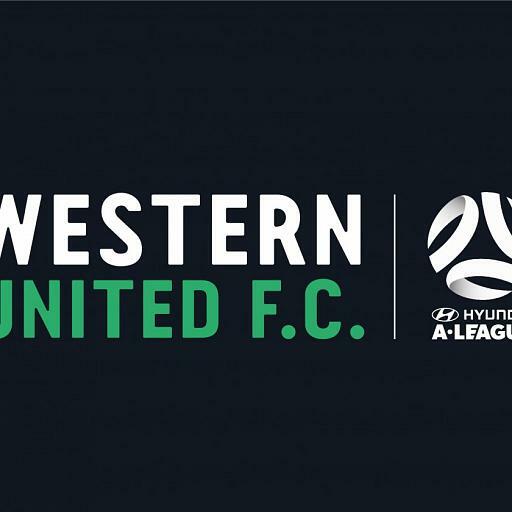 The confirmation of Western United FC and their colours of green, black and white is a fantastic day for the rest of the A-League. 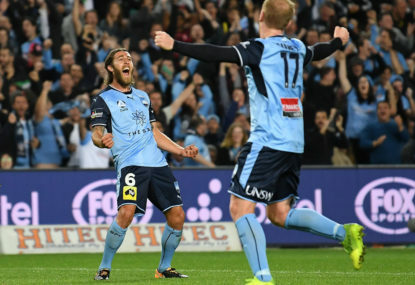 When it comes to promotion and relegation in the A-League, it is of my belief that this season has affirmed to us that the question is no longer if we should create a second division but rather how it might work. 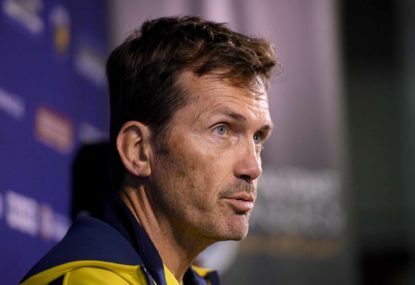 Is it just me, or is anyone else finding the Central Coast Mariners recent performances nothing less than embarrassing? 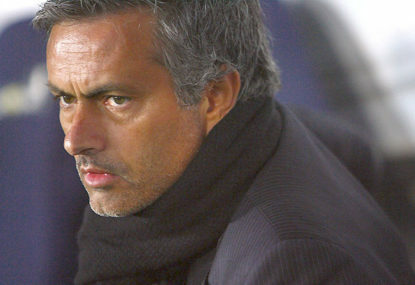 The day Jose Mourinho was sacked from Manchester United will be a day that I will remember for a while. Like many people on this website, I was eagerly awaiting the day expansion was confirmed, however I was controversially campaigning for a third Melbourne side. 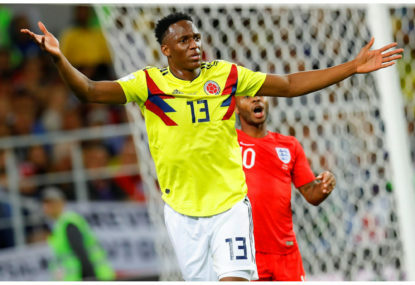 There is something about the World Cup that is bothering me, and I feel as if it is of crucial importance to write about it and share it with all of you. No this is not about VAR. Like many A-League fans, I viewed the latest news surrounding Andres Iniesta’s potential move to the A-League with cautious optimism. 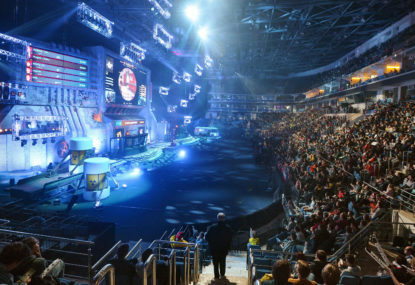 Let me start off by making this abundantly clear, this is not a debate about why esport is a real sport. 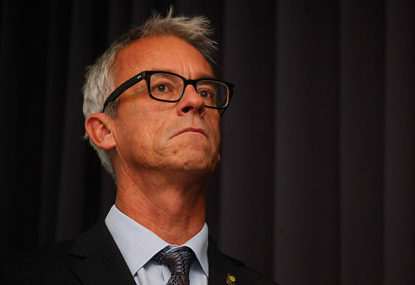 The Red and Black Bloc has been one of the more controversial organisations in Australian sport. It seems everyone has an opinion on them and active supporters in general, but there is no denying the impact they have had on our game, positive or negative. There is only one thing a bidder needs to be in the running for an A-League expansion licence, and today I can present it to you. When it comes to sport, in general we as Australians have a very high opinion on ourselves, and for the majority of sports that we play, we are strong competitors in comparison to the rest of the globe most noticeably in cricket and rugby. 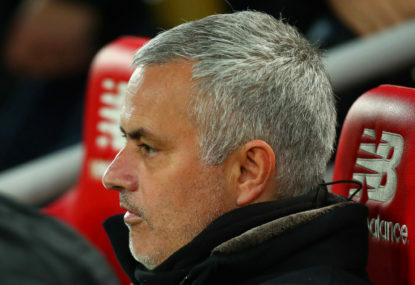 There has been a tidal wave of criticism against Jose Mourinho following Manchester United’s 2-1 defeat at Old Trafford to fifth place La Liga side Sevilla with much of this criticism coming from pundits who claim that Mourinho’s style of football is “boring”. The salary cap system: a necessary evil or a painful hindrance? 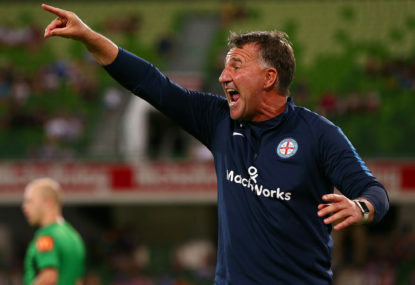 When European managers come to the A-League, often the first thing they are puzzled by is our persistence in utilising a salary cap system. Two years on, do we still want to Save the Nix? 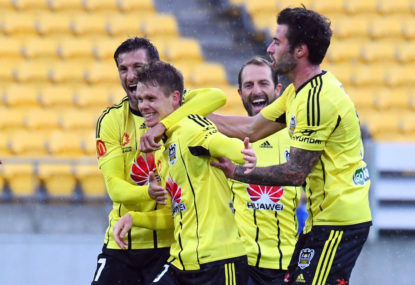 Let me take you back to 2015, when the Wellington Phoenix were in danger of disbanding. 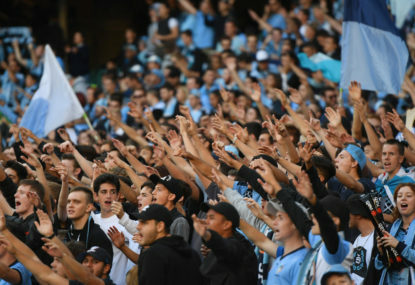 South Melbourne, the greatest Oceanic club of the century has been one of the most vocal teams in their attempts to obtain an A-League licence. I am considering supporting WU, mostly because I moved to melbourne a few years ago, and I’m biased against City and Victory. But that name is just plain awful. Maybe it’ll grow on me, hopefully they’ll change it. Honest mistake, sometimes pays to do a double take! Which is why it is critical that WMG seek to form their own identity, I’m pessimistic about the success because it’s difficult on a geographical perspective. Like you Mister Football, I would have preferred to see South in because they have a clear identity, but challenges would still have existed, no matter what they do there is always the stigma that they are a Greek club, I’m sure they would have changed this, but how would you propose they go about it? And if so, do you think there’s similar challenges for WMG and how could they be overcome? Why should we say to these clubs, you’re too ethnic for the A-League, but it’s completely fine for you to participate in the FFA Cup? I think it’s you that are missing the point. 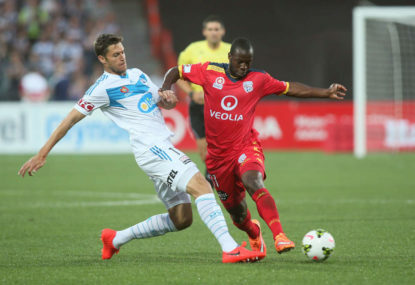 Marquee players are players that are talented, and if they are talented they are able to get people to watch them. The problem with our current marquees is whilst they have the talent, people simply do not know they exist. 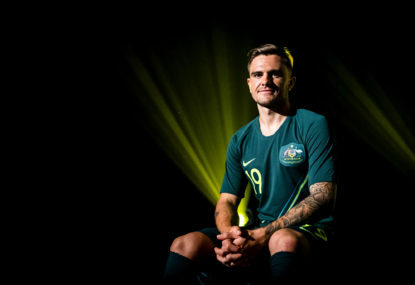 If people knew they existed, they would see that they have quality, at least on par with the superstars that come to the A-league in the later of their careers. Thanks Fadida! Glad to hear you enjoyed it! Thanks for the kind words Waz! ? Agreed Nemesis, having said that the amount of money in LOL is significantly more than FIFA, however, whilst it may be worth more money for the AFL, it is not going to turn them into AFL fans. Fair enough Christo, but what do you expect or want them to do? This is why I think a meeting between supporter groups and FFA needs to happen, they need to clearly establish that when someone breaks the law, the supporter group punishes them as well, does this mean revoking memberships? 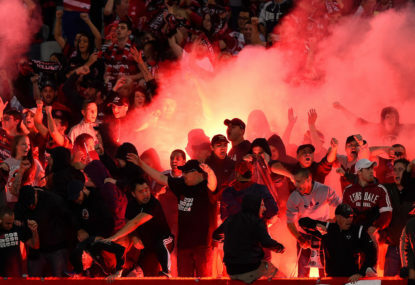 I remember a few years ago when a flare was lit of at the Melbourne Derby, the northern terrace members pointed out to police who lit of the flare. They also stated that they did not know who he was as they had not seen this supporter st any previous marches. 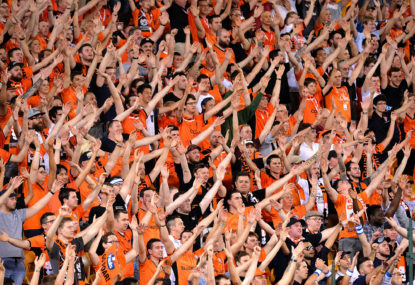 Do you want to see RBB members name and shame those who break the law at the games similar to the Northern Terrace? I agree that the RBB have made mistakes, flares are illegal and for sure they need to do more to rid themselves of the minority that are there to cause unrest. My point about the charity was to show that the majority of the RBB are reasonable people, I thinks it’s unfair that people are generalising them as hooligans based on the actions of the minority.